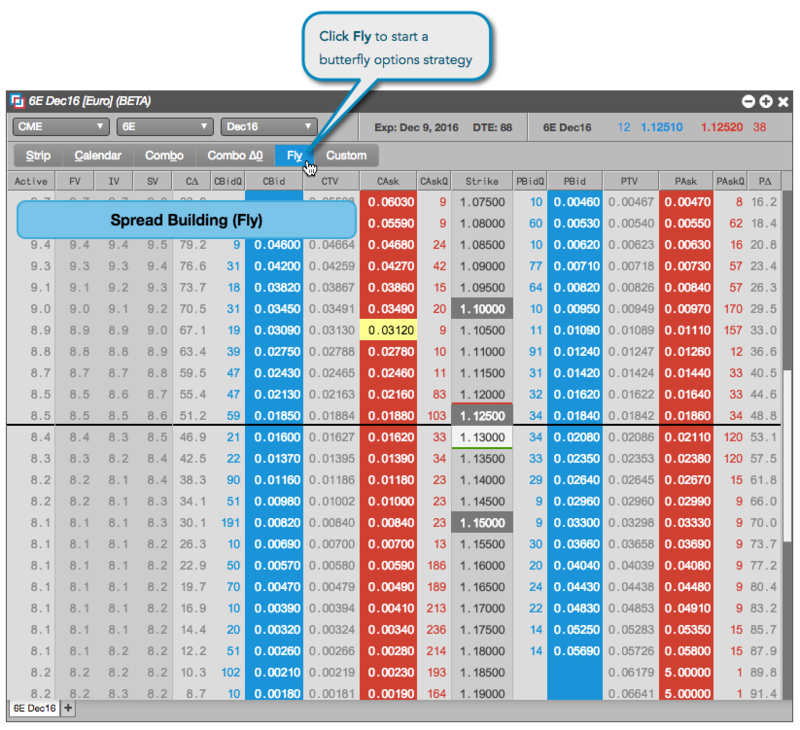 In the Options Chain widget, click Fly to enter Spread Building mode. Click a Bid or Ask price to specify the first leg of the strategy. Click the price for either the second or third leg of the butterfly strategy. 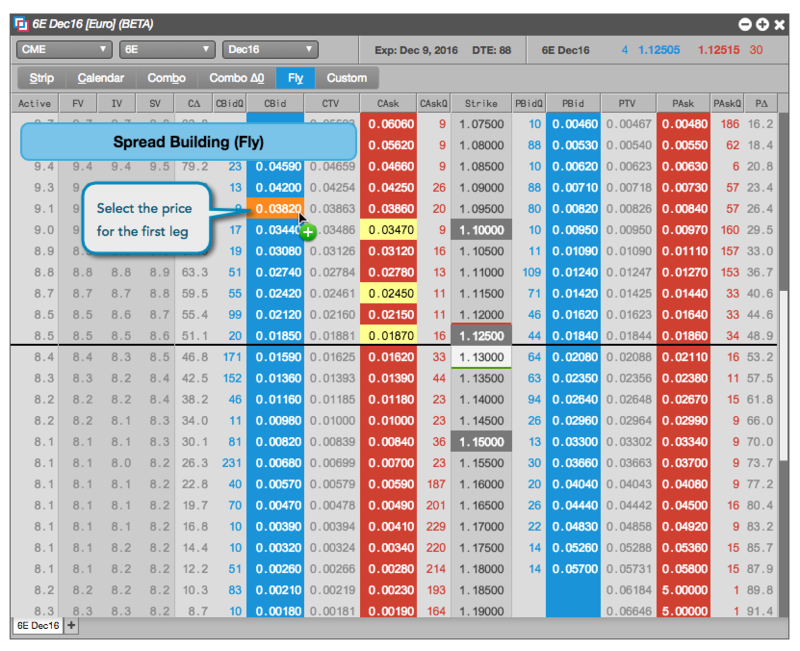 As you hover over a price, the butterfly strategy automatically identifies the missing leg of the spread. In this case, you specify the second leg, so the third leg is automatically highlighted. The Strategy Creation widget opens with the legs already added. 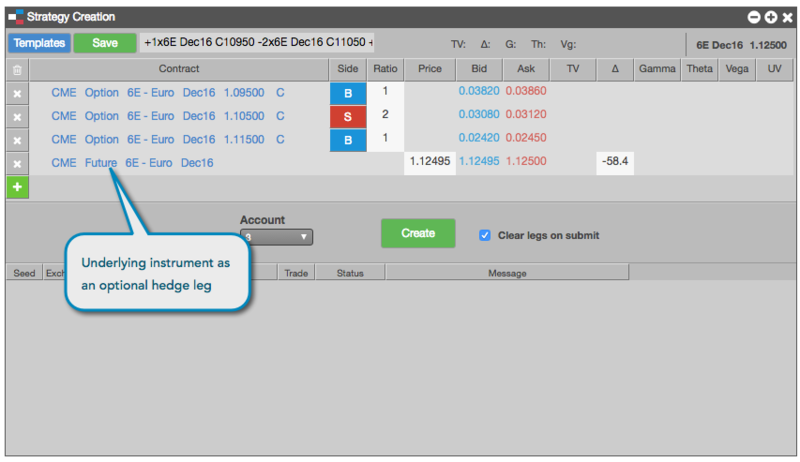 If you want to cover your position in the options with a position in the underlying futures contract, click + to add the futures instrument. In the Strategy Creation widget, make any desired adjustments and click Create to submit your options strategy to the exchange. 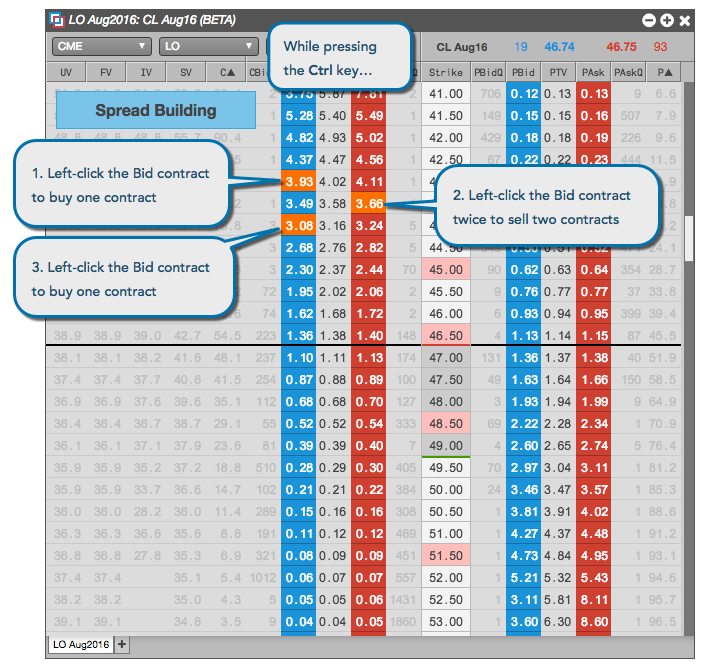 In the Options Chain widget, click Strip to enter Spread Building mode. In the drop-down menu, select the end of the desired range of expiration months. The Strategy Creation widget opens with the legs already added. The strategy is also seeded with the front month futures leg. 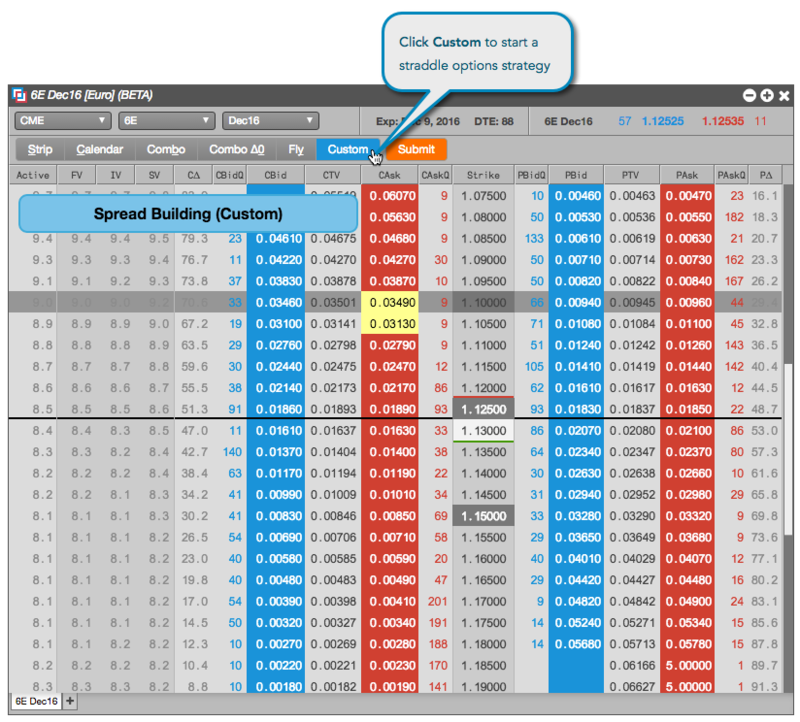 In the Options Chain widget, click Custom. 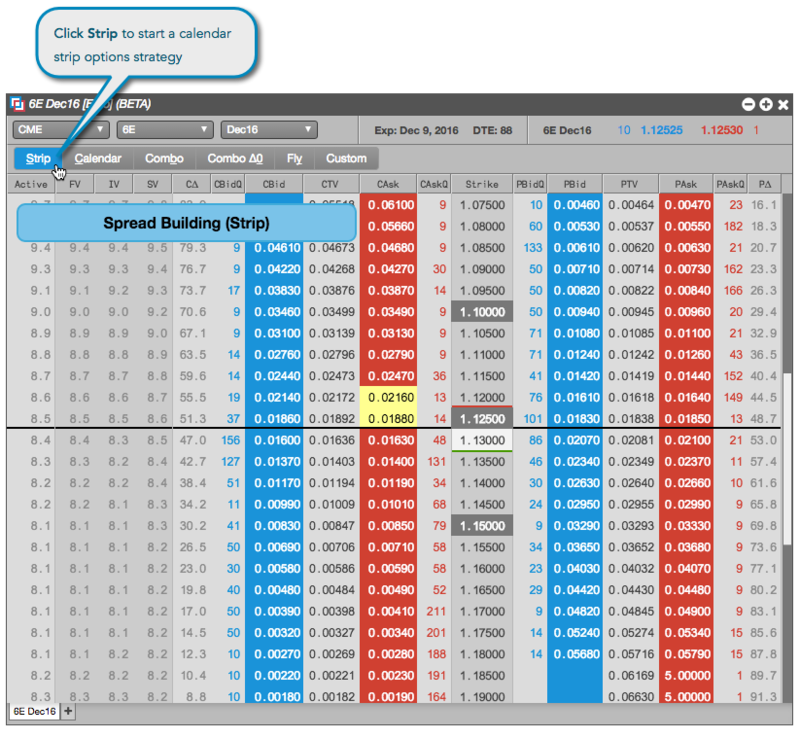 Left-click a price in the Strike column for a Buy straddle, or right-click a price to create a Sell straddle. 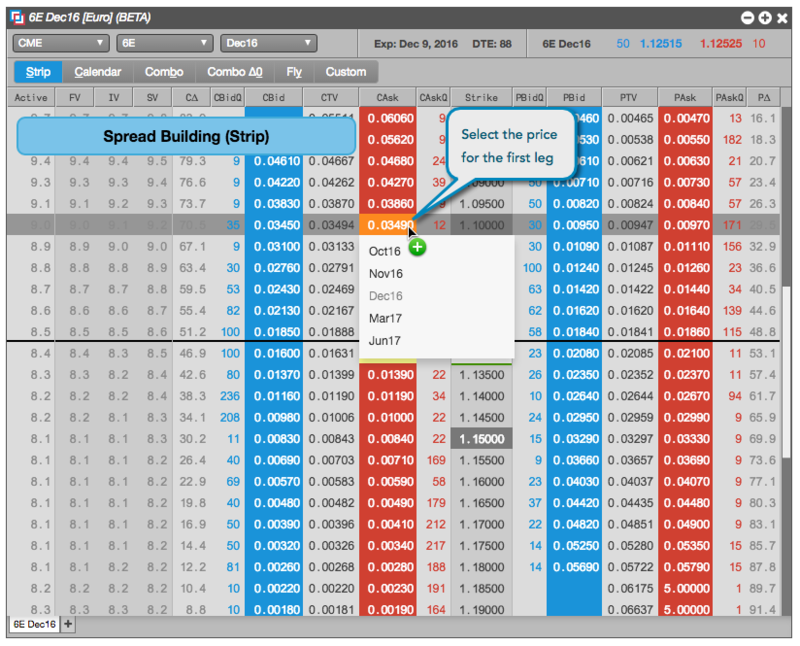 The widget automatically selects a Put and a Call option at that price level. 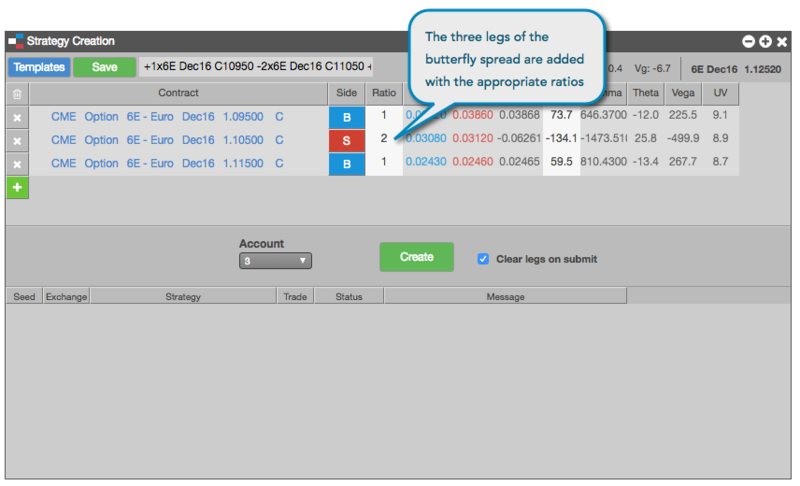 Click Submit to create the corresponding straddle strategy. 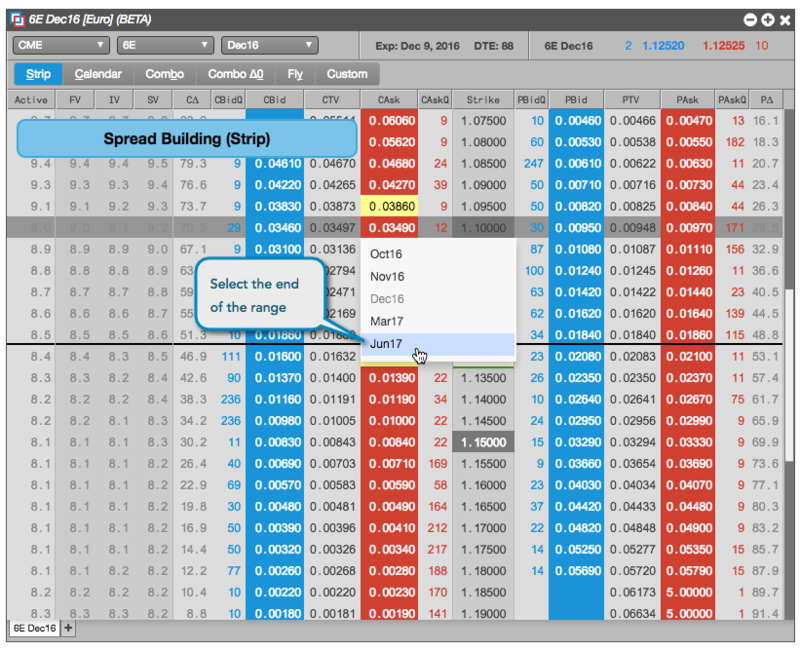 Note: If you want to cover your position in the options with a position in the underlying futures contract, click + to add the futures instrument. In this case, you added the underlying instrument to the Sell strategy. 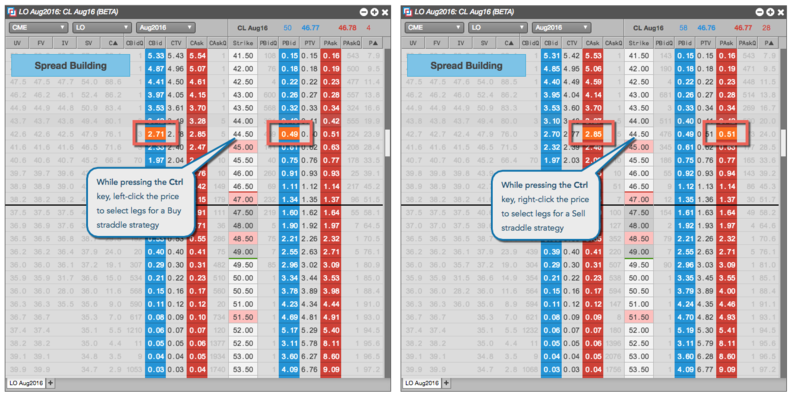 In the Options Chain widget, press and hold the Ctrl key to enter Spread Building mode. 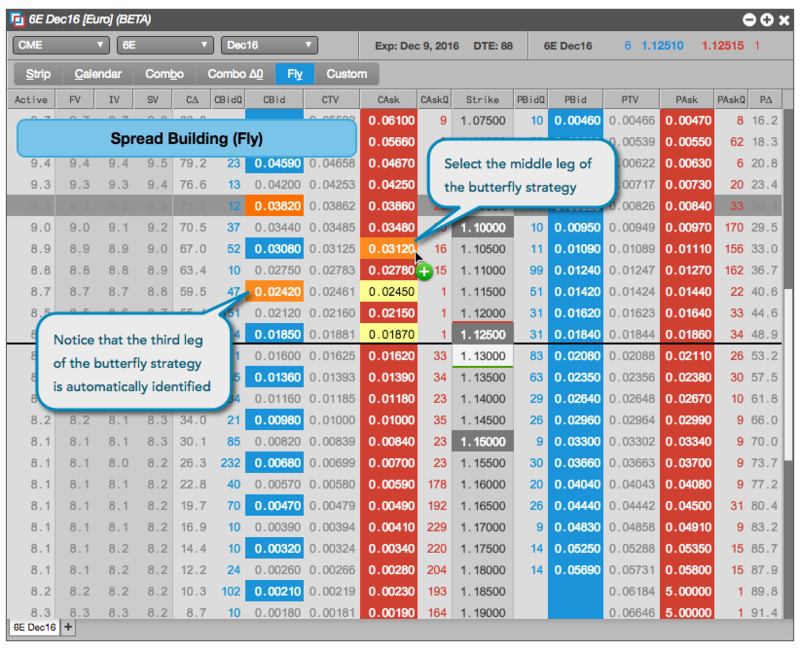 Release the Ctrl key to create the corresponding straddle strategy. Release the Ctrl key to create the corresponding butterfly strategy.